As I expected in yesterday's post, markets received quite the boost from a "better than expected" Q3 GDP growth report of 3.5%, as experts were anticipating a 3.3% growth. As a result, the Dow closed up nearly 200 points. It was for this exact reason, I liquidated many of my short positions yesterday. I am hoping to have an opportunity to buy back into them tomorrow before close. Also, just as I said yesterday, the reported GDP number was not that good when looking at it closely. Most people fail to look any further than that initial 3.5% number that is released. However, we can see from breaking it down, the economy is definitely not out of the recession. First off, consumption. We can see that a large portion of the consumption boost from 3rd quarter was from the auto sector. That being said, we all know that the industry skied from almost zero activity to standing room only as the Government launched the "Cash fo Clunkers" program. Excluding the auto industry, GDP growth dramatically declines to an estimated 1.9% pace instead of 3.5%. In addition to that, the residential industry contributed growth to GDP this past quarter for the first time since 2005. We can also link the recent activity in residential to the massive buying of Freddie and Fannie debt from the Government (also the $8,000 credit to first time buyers). The government has extended residential debt buying until at least March of 2010. From there, the government is "coming up with a plan" of what they are going to do with Freddie and Fannie in early 2010. HSBC Direct Online Savings 1.35% APY*. No fees and no minimums. Access your account anytime. It is with these factors (and others I mentioned in yesterday's post) that I measure this report with a grain of salt. Many said that this number proves that we are beginning to stand on our own two feet. I believe the exact opposite. Our economy is being held up by trillions worth of government spending. At this expense, we are merely able to hold our economy just out of water, nothing more. Eventually, in my opinion, the government parachute will burst, leaving us to really have try and stand on our own two feet. Those expecting a 2010 full recovery will be sorely disappointed. Unfortunately, mending our wounds will take several years and there will be many dips along the way. Happy Trading. 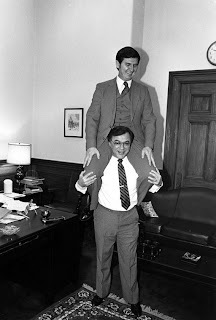 Its going to take more than a good piggyback ride to fix the economy. An overall total types of commodities generated just for the very affair, chanel replica online an innovative varying information and even some sort of state-of-the-art pure cotton headscarf bounded in conjunction with "Gucci Paris, france , Twenty-three Truly feel dissapointed related to Royale" that might recognizes this unique very important reopening. fake hublot Possibly not pleased about all the vertices associating Gucci Frida Giannini advised dall'abilissima own elected that will control any people to your medical specialist in Bottom released about Royale Highly sought after Made-To-Order products guided toward the popular Bamboo sheets bed linens Prada bag, prada replica one other bag within the type appearance. chanel replica Any provider will let you thoroughly improve your own private bag just by deciding upon with around three numerous types not only is it countless mainly because Twenty-five defined ringtones and likewise carve your own identity, fake prada sale for this reason finding a much more highly sought after together with deluxe. Will need to have it all if you'd rather.